What will $2,100 rent you in Santa Monica, right now? Curious just how far your dollar goes in Santa Monica? We've rounded up the latest rental listings via rental site Zumper to get a sense of what to expect when it comes to locating a rental in Santa Monica if you don't want to spend more than $2,100/month on rent. Here's this one-bedroom, one-bathroom located at 1504 Maple St. It's listed for $2,095/month for its 552 square feet of space. 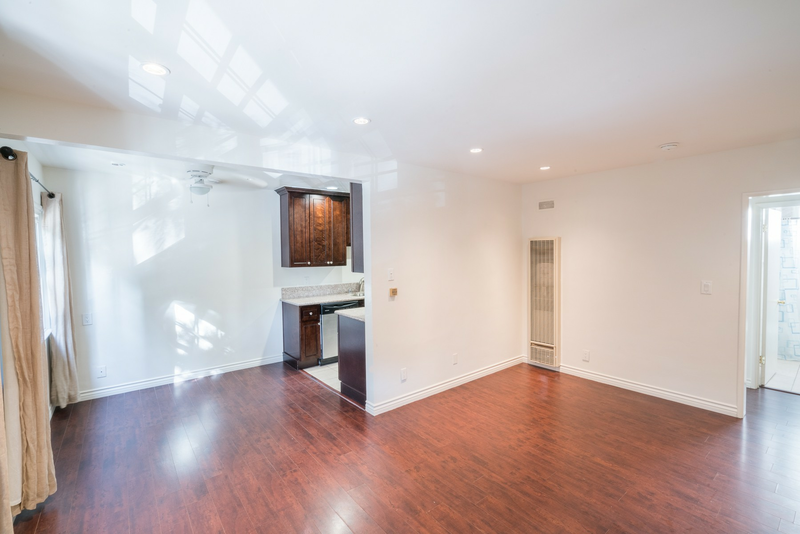 In the apartment, there are hardwood floors, a stove, closet space and ample natural light. Animals are not welcome. Walk Score indicates that this location is friendly for those on foot, is great for biking and offers many nearby public transportation options. Then, here's a studio apartment at 1132 Pico Blvd. that's going for $2,050/month. The unit features hardwood floors, a dishwasher, stainless steel appliances, granite countertops, wooden cabinetry and built-in storage features. Amenities offered in the building include storage space. When it comes to pets, both meows and barks are welcome with an additional deposit. Walk Score indicates that the area around this address is quite walkable, is great for biking and has excellent transit. Check out this 600-square-foot one-bedroom, one-bathroom that's located at 422 Hill St. It's also listed for $2,050/month. When it comes to building amenities, expect assigned parking and on-site laundry. In the apartment, you can anticipate carpeted floors, new paint, a ceiling fan, a walk-in closet and large windows. Pets are not permitted. Walk Score indicates that the surrounding area is friendly for those on foot, is very bikeable and has good transit options.